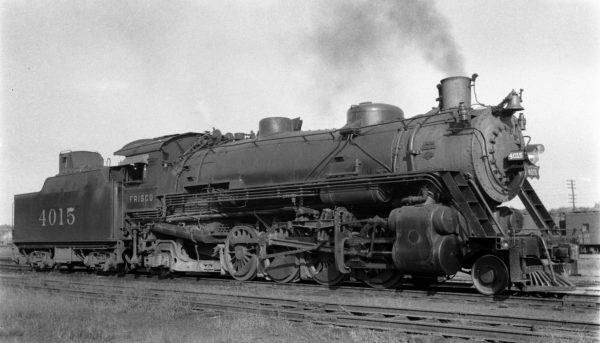 2-8-2 4015 at Monett, Missouri on September 19, 1939. 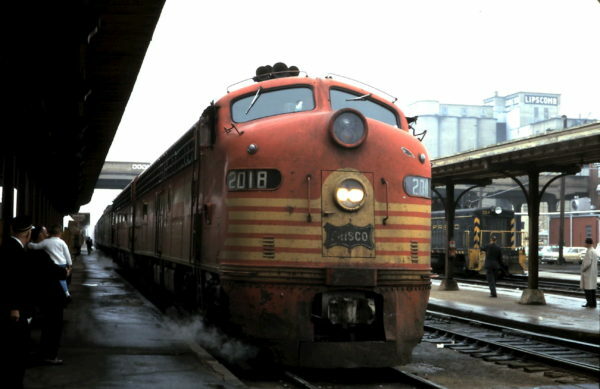 E8A 2018 (Ponder) and SW7 304 at Springfield, Missouri (date unknown). 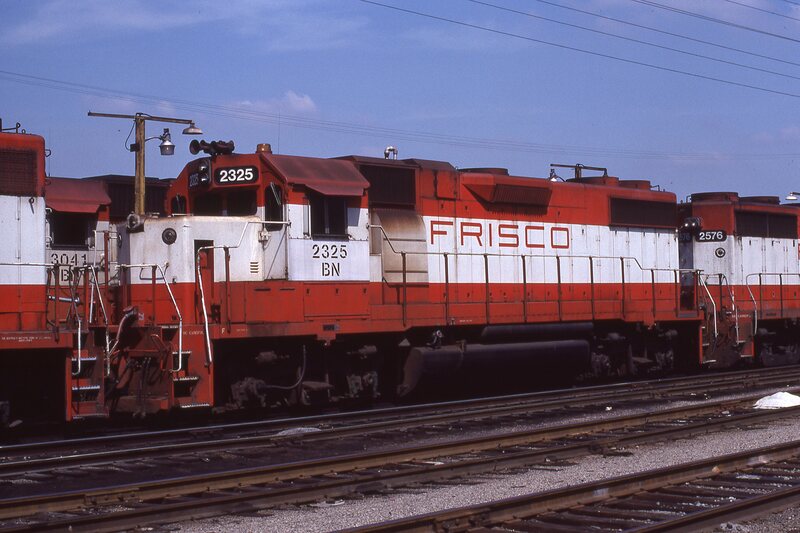 GP38-2 2325 (Frisco 470) at St. Louis, Missouri in September 1981. 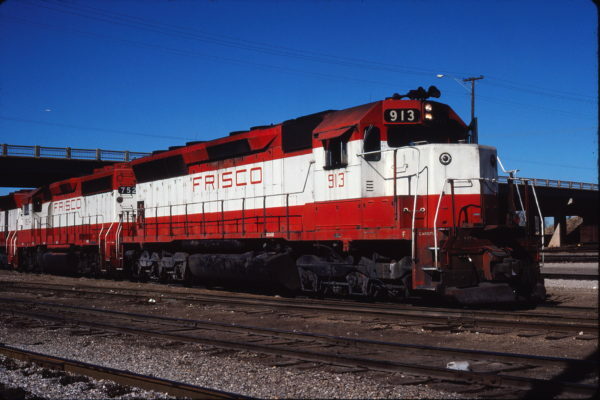 SD45 913 and GP40-2 752 at Enid, Oklahoma on November 8, 1980 (Gene Gant).